Last year we raised $2,300 for 3 amazing charities. This year, the project is online again, bigger and better. 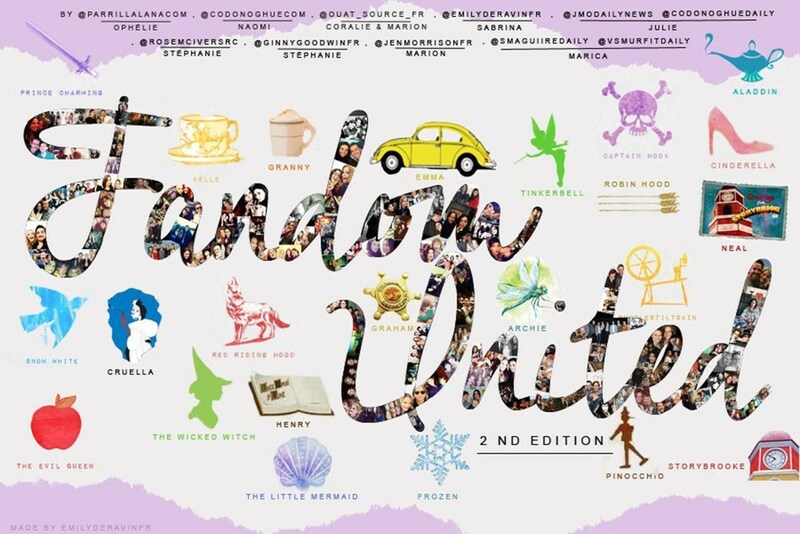 We want to unite the fandom and raise money in name of all the castmembers. We will tell the cast at Fairytales V (by Xivents) and The Happy Ending Convention (by People Con). We also have a second fundraising HERE. We are raising money for three amazing causes: Face Forward, Blue Cross and DEWC Vancouver. - Face Forward: Face Forward provides pro bono reconstructive surgery & emotional support to victims of domestic violence, human trafficking & other cruel acts of crime. - Blue Cross: Sick, injured and homeless pets have relied on us since 1897. Abandoned or unwanted, ill or injured, pets turn to us for help every year. - DEWC: Our mission is to provide basic needs and positive change for womenand children in the Downtown Eastside of Vancouver. There will be prices to win!